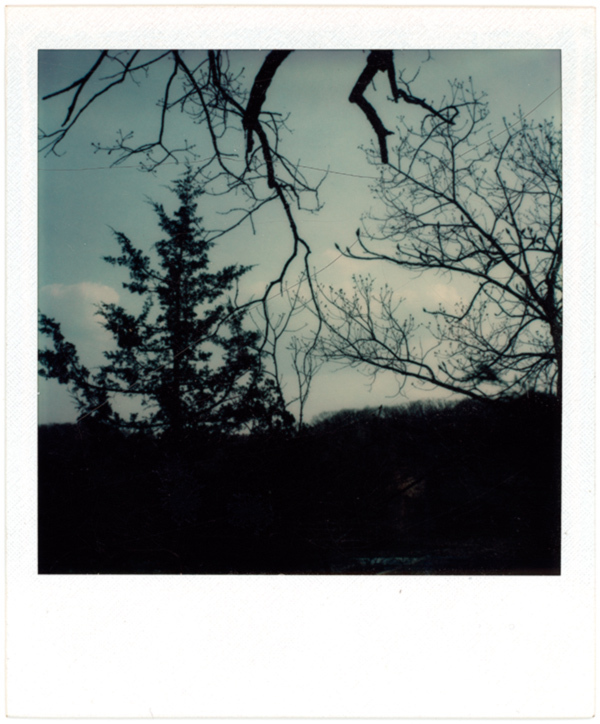 I found some dusty old SX-70 prints in my files. They’re in poor condition and were photographed sometime between 1973 to 1975. 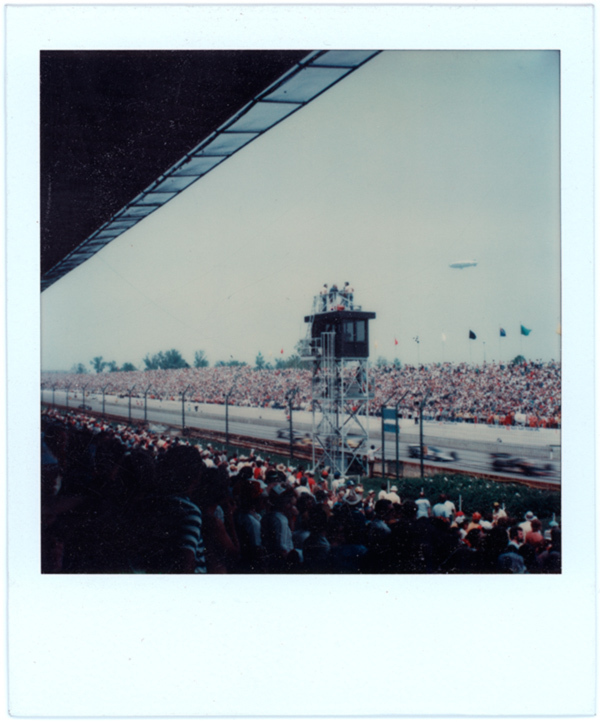 The first two are photographs of the Indianapolis 500. I didn’t notice until I scanned the first photo, you can see the Goodyear Blimp. 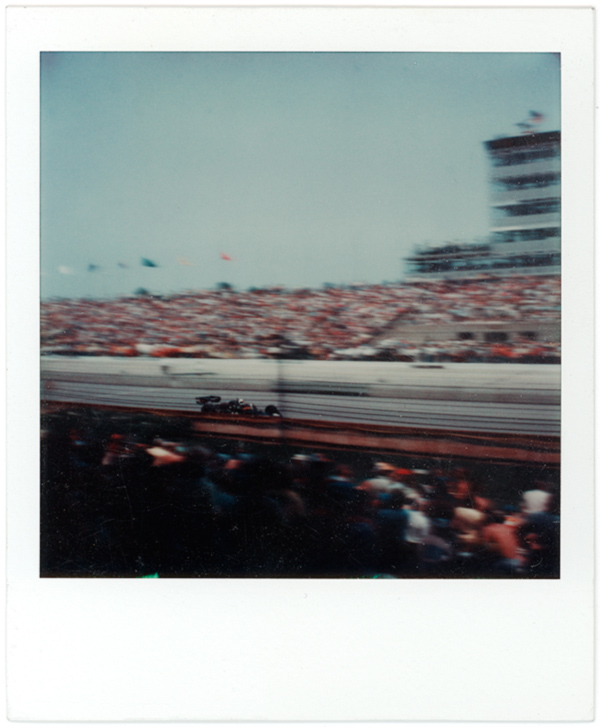 That second shot has a nice pan and motion blur, that was really hard to do with the SX-70. The next image had some cracks in the emulsion, I tried to fix it a little, but I left most of them unretouched. 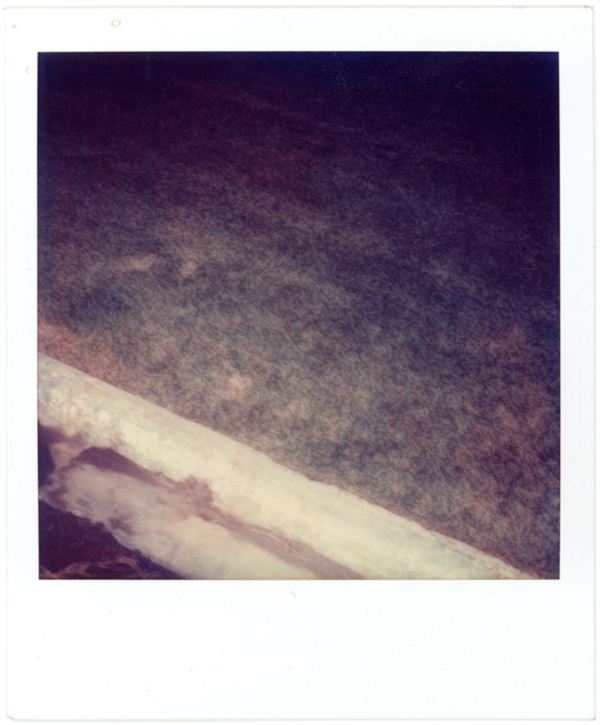 I’m finding out that SX-70 prints were not as indestructible as Polaroid claimed. But the subtle colors in the sky are pretty good. I always liked the harsh look of the Polaroid Flash Bar, but they were really expensive. I liked using them at night, so the nearby objects were brightly lit, and the illumination quickly drops with distance. Previous Previous post: Steve Jobs R.I.P.